Salem, OR—On October 25, 11 a.m. - 1 p.m., Oregon Secretary of State Dennis Richardson will host the second annual Business of Diversity - Veterans Luncheon at Seven Feathers Casino Resort in Canyonville, Oregon. This event is open to everyone and is an opportunity to learn about starting a veteran owned business or doing business with veterans. This networking and informational event will focus on issues of diversity, inclusion, entrepreneurship, government contracting, and more. Current and former veteran entrepreneurs and mentors will be discussing their own experiences in starting a business and helping others to do the same. Whether you're a veteran, wish to do business with veterans, or would like to participate as a vendor or sponsor of a table or of individual veterans, this event will increase your awareness of the potential that exists in the business world after military service and with former military members. If you would like to attend the luncheon, please make your reservation today through Eventbrite. If you would like to spend the evening at the resort, a block of rooms for October 25 has been reserved. Please contact the resort at 1-888-677-7771 and refer to the BUSINESS OF DIVERSITY event when making your reservation. 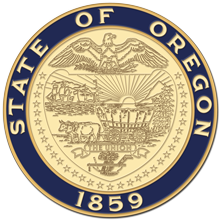 The Secretary of State oversees Oregon's elections, audits state agencies, is the keeper of Oregon's historical documents, and is the first stop to register as an Oregon business and for small businesses to obtain guidance. Secretary Richardson's vision for the agency is focused on ensuring the integrity of Oregon state government and keeping it accountable and transparent. If you have any questions, contact Larry Morgan at larry.morgan@oregon.gov or call at 971-284-7234. A printable flyer for the event can be found here.